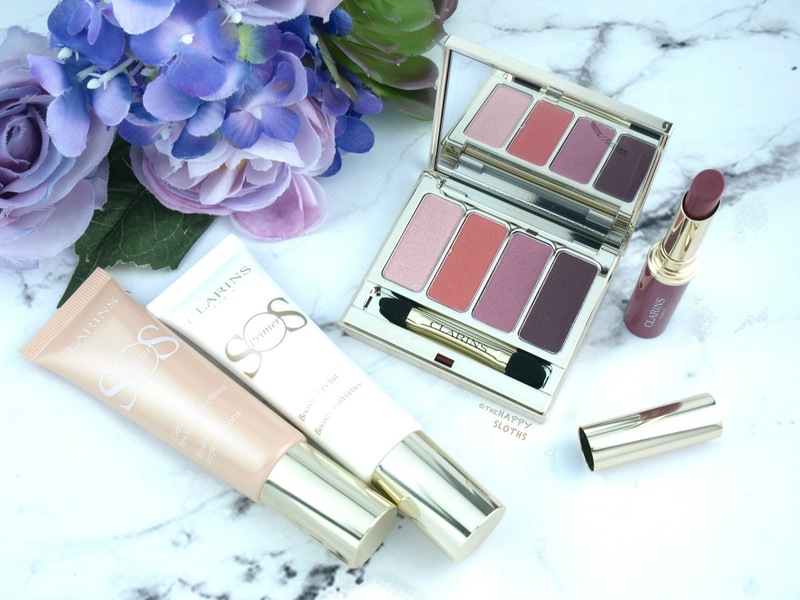 Clarins Spring 2018 | SOS Primer in "00 Universal Light" & "02 Peach"
Available in six different shades, the SOS Primers are a range of multi-use complexion products designed to target various skin concerns (ex. green for camouflaging redness, lavender for brightening sallow skin). Oil-free and formulated with an anti-pollution complex made with nipplewort extract, white tea, and red algae, the primers can be worn all-over as a makeup base, applied on certain areas as a targeted corrector, or on top of foundation as a touch-up product. 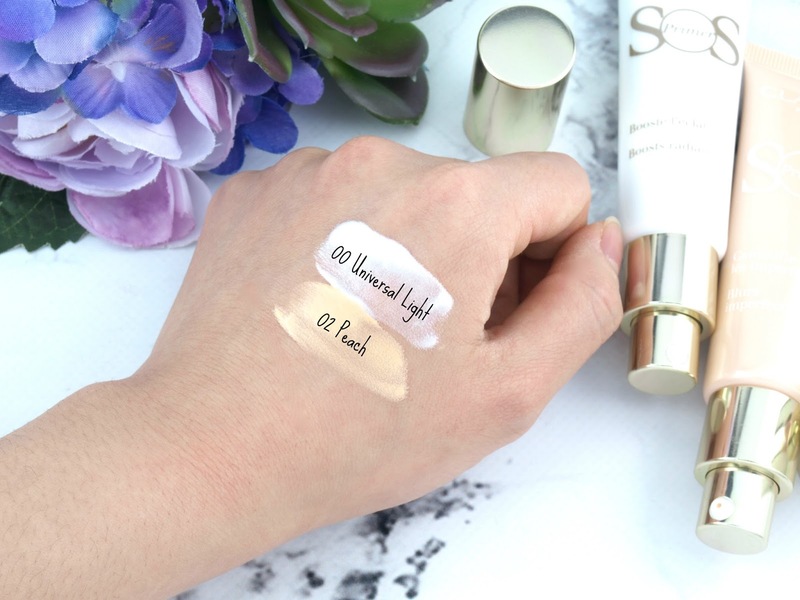 I have here the shade "00 Universal Light", a translucent white with a subtle splash of super-fine shimmers. 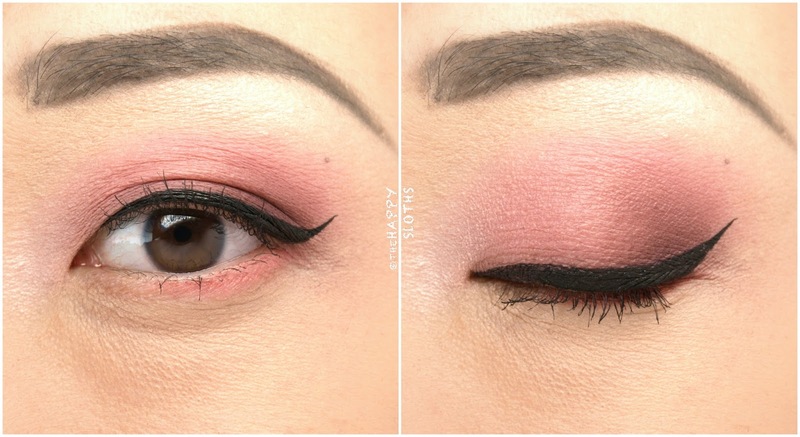 It provides a soft blurring effect and when applied a little more heavily, it serves as a subtle highlighter. "02 Peach" is a sheer shimmer-free beige. This one doesn't work as a highlighter but it has a little more pigmentation, providing a more noticeable camouflaging effect that diminishes the look of blemishes and dark circles. 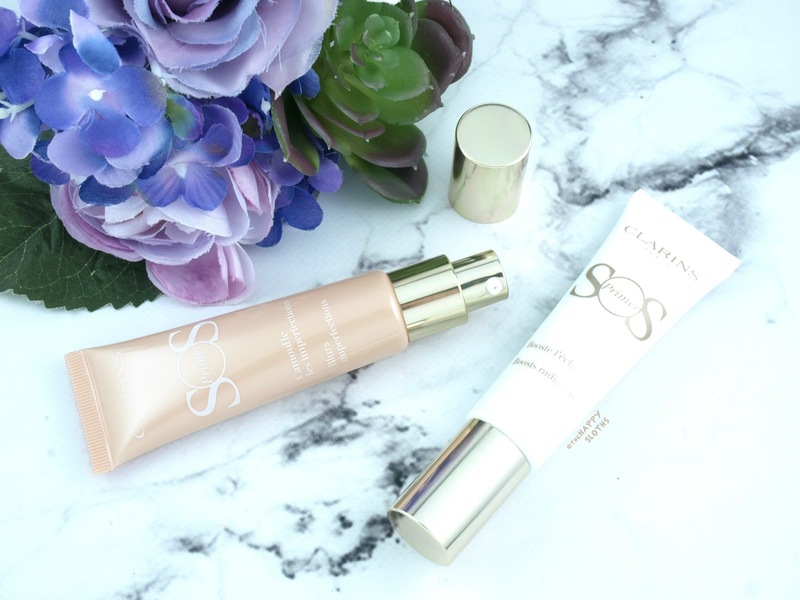 Both SOS Primers have a silky, creamy formulation that blends seamlessly into the skin. Although formulated with silicone, neither feel heavy or cakey. Additionally, they have a natural matte finish that's refreshing and not greasy. If you are a fan of a lightweight primers that provides a smoothing, blurring effect, definitely check the full SOS range! 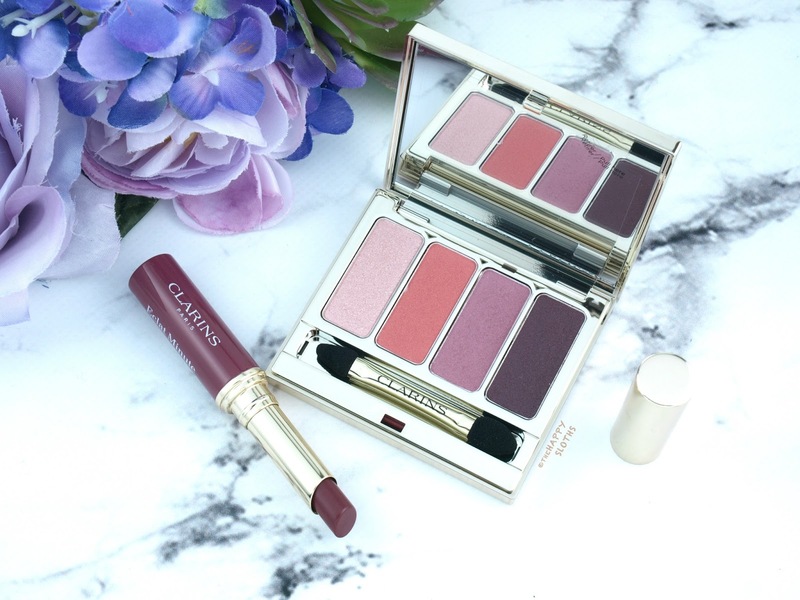 Clarins Spring 2018 | 4 Color Eyeshadow Palette in "07 Lovely Rose"
Housed in a slim and travel-friendly compact, this is a gorgeous eyeshadow quad featuring a light pink pearl, a satin coral, a matte mauve pink, and a satin deep plum. 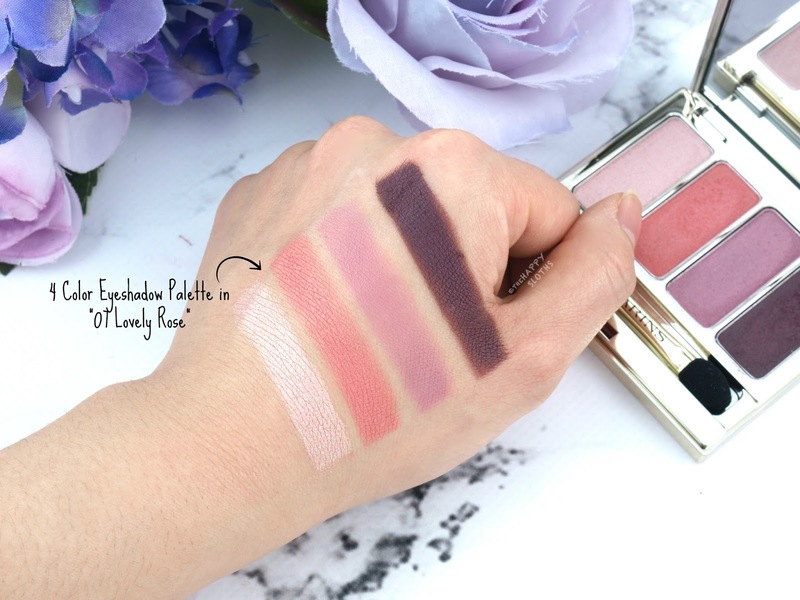 While both the pearly pink and the light coral are nicely pigmented, the mauve pink is sheer and the plum is patchy and difficult to blend. Clarins generally makes some great shadows but this palette fell a little short. With that said, the color combination is very pretty and spring-friendly. 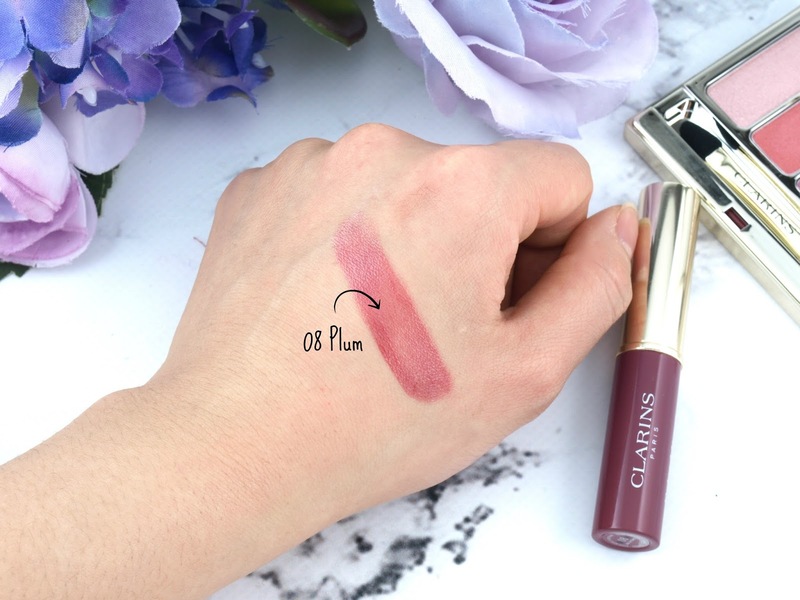 Clarins Spring 2018 | Instant Light Lip Balm Perfector in "08 Plum"
Formulated with shea butter, this is a sheer tinted lip balm scented with a sweet vanilla smell. The shade "08 Plum" is a light berry pink. Although sheer, it provides the lips with a flattering wash of color. The formulation feels hydrating and plumping but the wear time is short. 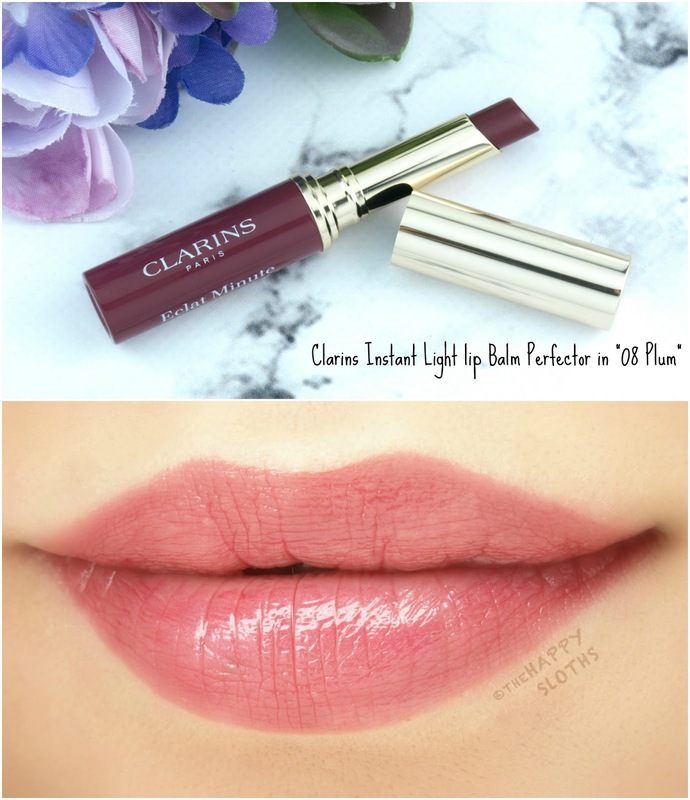 If you are a fan of easy-to-apply sheer lip colors, then definitely check this out. Clarins is available at select department stores, pharmacies and online at www.clarins.ca. The Spring 2018 Collection is available starting February.